Well, summer finally seems to have arrived in our tiny slice of Yorkshire. 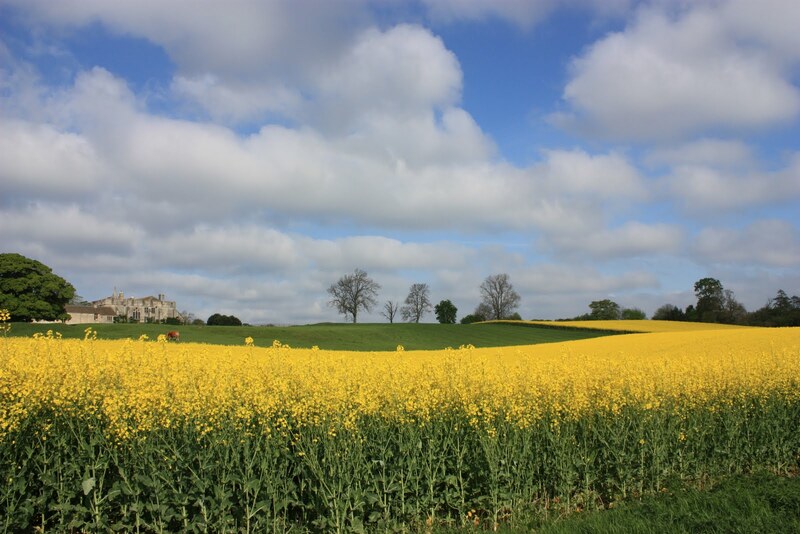 The cows are in the fields and the golden (some may say garish...) yellow that covers a lot of the countryside at this time of year has seemingly surround the Hall leaving it looking as though it has an outer moat of green fields! 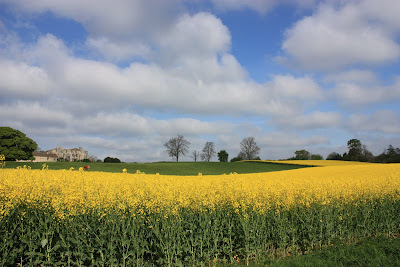 There are duckings on the moat, hares racing around the fields and - most importantly - the sun is shining! Markenfield throws open its doors to the public on Sunday, so we have been busily preparing for the (hopefully) hundreds of people that are simply waiting to flock through our door. The Hall will be open from Sunday 1st to Saturday 14th May from 2pm to 5pm each day. We hope we'll see you soon! 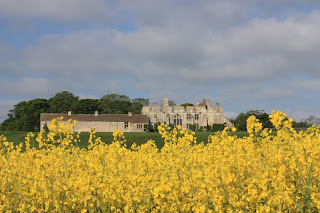 It is a magnificent sight to see the linseed surround the Hall and the other buildings. Can't get enough of that one. Great photographs!